I had to pick Thumper up early from school for ABA, then drive over to Tad’s school to get him just as school got out. The day was shorter than what he was used to in preschool (factoring in the early pickup), but it was Day One. 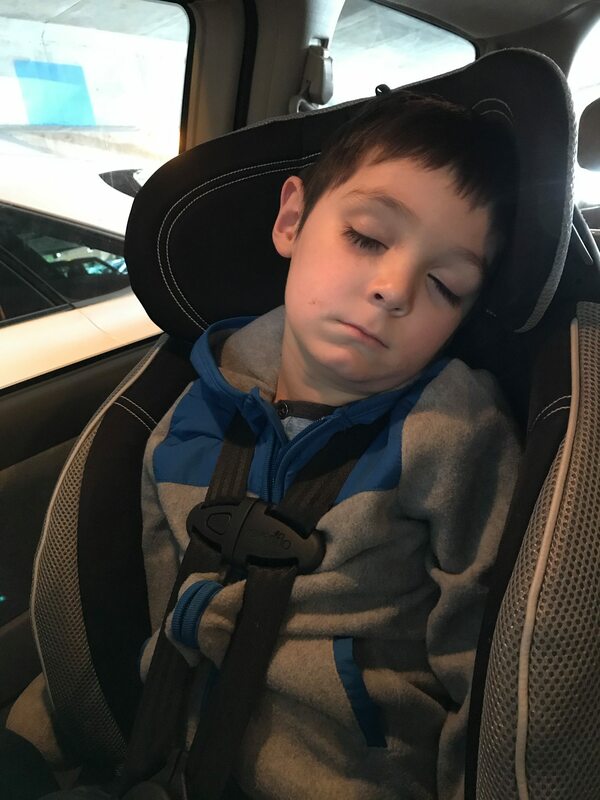 And he just couldn’t stay awake on the drive to the autism center. Other than that, Day One went well! He observed much and said nothing, which is pretty much his M.O. This entry was posted on Wednesday, September 12th, 2018 at 12:37 am	and is filed under Children, School Days. « Thumper’s First Day of Kindergarten!